As we all know, the style of a wedding dress is mainly determined by its silhouette, length, fabric and embellishments. 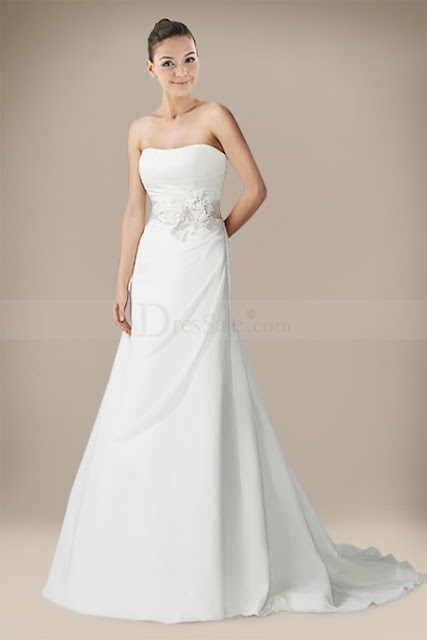 Thus, a knee-length ball gown wedding dress is totally differs from a floor-length sheath one. But if you’ve decided to wear a long bridal gown on your big day, then how do you show your various looks on the wedding ceremony? The answer is the train, which can completely transform your look by changing the feel of your look from ceremony to reception. The train of a wedding dress is the elongated back portion of the gown that lies on the floor and trails behind the bride. After ceremony, most brides bustle the train so that it’s no longer lying on the floor behind them. The bustle is an opportunity for a bride to make another fabulous fashion statement, and can either enhance the look of the gown, completely change it, or just look like a pile of fabric getting the train off the floor. As there are several types of bustles, you need to know clearly your train length and fabric being used to make sure you select the right bustle. The longer the train is, the more intricate and elaborate the bustle needs to be. Most of your celebration will be together with your gown bustled up, so make sure that your bustle is not only functional, but appropriate for the style and fabric of the gown itself. 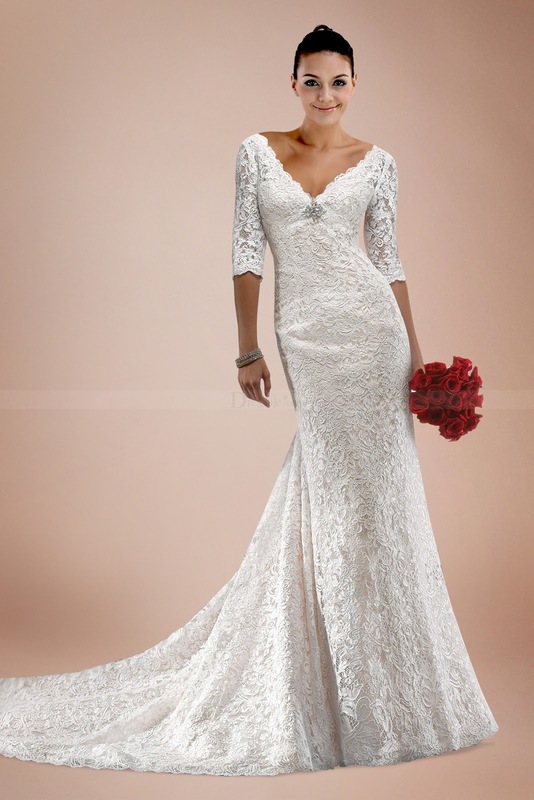 In this post, I will make a simple introduction to the train styles of a wedding dress. As to the gown bustles, please pay attention to my following posts. Brush train is the shortest of the train styles, apart from not having a train at all. And it is also called a sweep train. The back hem is only a few inches lower than the front hem, adding a modest amount of volume to the back of your dress. The brush train is the most versatile train because it can be worn at just about all types of ceremonies, from a spring garden wedding to an evening event in the fall. It is also perfect for any elegant informal or semi-formal wedding gown. Since this train is too short to be bustled up, make sure you are comfortable with having a small train your entire wedding day. Court train is slightly longer than the brush, extending approximately 3 feet behind the waist. It creates a simple bustle that only needs 1-3 ties. This train can be used at most ceremonies as well, but may be a hassle at outdoor weddings, such as those held on grass or at the beach. The chapel length train is the happy medium between the simplicity of the brush and court, and the formality of the cathedral and royal. This is currently the most common train applied to various kinds of bridal gowns, holding the elegance of a full train but never overly cumbersome. The train is 4 feet from the waistline, making a significant statement without the grandeur of the longer trains. It is perfect for a semi-formal wedding gown and appropriate for a formal wedding gown as well.